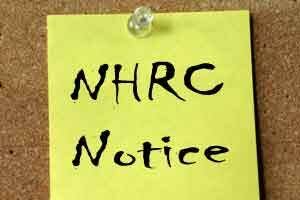 The National Human Rights Commission(NHRC) has taken suo motu cognizance of a media report that an unusual large number of Hysterectomy procedures have been performed to remove uterus from unsuspecting women in Kalaburagi district of Karnataka allegedly for commercial reasons only as there were no medical justifications behind them. The victim women’s life was put at stake as they suffered many complications after the surgery. Reportedly, Umarga area in Osmanabad district of Maharashtra has also emerged as a ‘Hysterectomy Hub’ and they are getting patients from border villages of Kalaburagi district of Karnataka. There have been interventions in the matter by the Karnataka State Commission for Women, the Karnataka Government as well as the civil society but a concrete action is yet to be taken to stop the menace. The Commission has observed that the contents of the media report raise serious issue of violation of human rights of the poor patients, mostly illiterates and coming from rural background. Right to Health is the basic human right and integral to the right to life. Accordingly, it has issued notices to the Chief Secretaries of the Governments of Karnataka and Maharashtra calling for a detailed report in the matter within four weeks. It has also observed that the way, the doctors and hospitals are performing the Hysterectomy procedures in an inconsiderate and negligent manner and putting the lives of the patients to risk, is a matter of concern for it. The State Government is bound to protect the Right to Life and Health care of the citizens. According to the media report carried on the 26th February, 2017 that the patients, who agreed for the Hysterectomy procedures were misled by the doctors and they have suffered health complications after the surgery. The victims have complained of backache, weakness, prolonged tiredness, chest pain and even partial vision loss. It is mentioned that four women from the village Kolagunda gollarahatti in Hasan district had undergone Hysterectomy procedure and one of them died three months later. An inquiry committee constituted by the Karnataka State Commission for Women in September, 2015 investigated the issue and submitted its report in April, 2016, but no action has been taken on their recommendations. Reportedly, a large number of complaints in this regard had prompted the State Government to form an expert committee in the year 2015, which found that 2,258 Hysterectomy procedures were done in a period of 30 months in the Kalaburagi district. Four hospitals were found guilty and a probe was conducted for their alleged violation of provisions of the Karnataka Private Medical Establishments Act (KPME) 2007 and Rules, 2009. Licenses of these hospitals were later suspended for six months. The matter has also been reported to the Karnataka Medical Council (KMC) on 23rd January, 2017, which is yet to take call on this. A group of public health activists of Karnataka Janarogya Chalavali (KJC), who took up this issue in the year of 2015, have been demanding for cancellation of the registration of the guilty doctors and legal action against them.